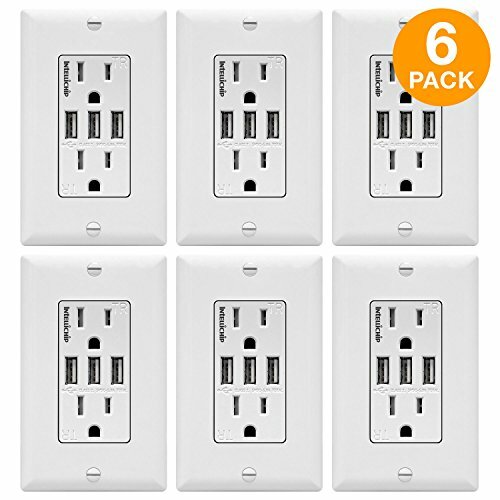 The TOPGREENER 5.8 Amp three port USB wall outlet receptacle is one of the fastest charging solutions for your portable devices. With three USB 2.0 ports each charging up to 2.4A, the TU21558A3 is the charging solution for busy families and offices. Install in your kitchen island, counter top, bedroom night stands, living room, or even patio wall. It is also rated for use in commercial areas including offices, cafeterias, restaurants, meeting rooms, airport lounges, hotels, schools, libraries, and workstations. Enjoy the convenience of recharging without bulky adapters.